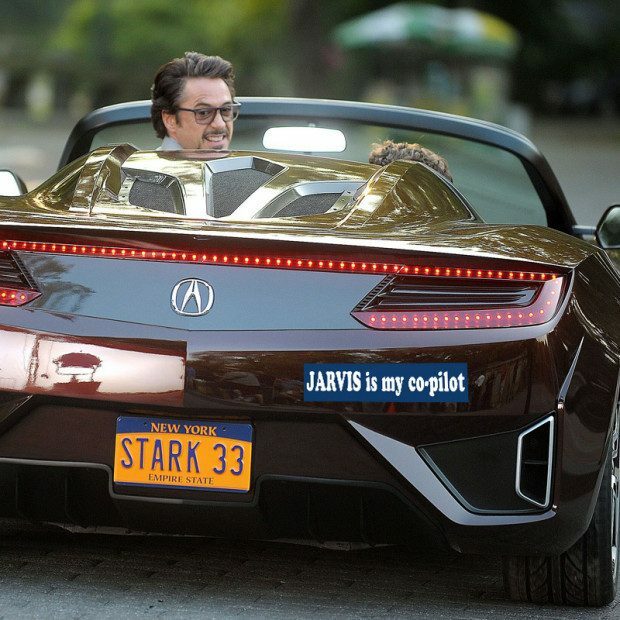 The Avengers Inspired JARVIS Is My Co-Pilot Car Decal Just $3.99 Ships FREE! You are here: Home / Great Deals / The Avengers Inspired JARVIS Is My Co-Pilot Car Decal Just $3.99 Ships FREE! Order the The Avengers Inspired JARVIS Is My Co-Pilot Car Decal for Just $3.99! Plus it Ships FREE! You don’t have to own a fancy car or superhero jet to appreciate this Avengers Inspired Jarvis is my co-pilot decal. Just slap it on your ride and let the world know you’re down with one fine super computer! !